The rim of this high-stemmed bowl is wide and flaring, and the wall of the body is curved. The stem is thin and tall, being slightly wider at the bottom than at the top. The entire piece is covered with a creamy glaze, the exterior of which has ash white specks and is covered with clear crackle lines. The dark crackling has a touch of brown, which is a glaze feature of surviving Ko wares known as "gold threads and iron lines". The glaze at the mouth is darker with brown coloring. Inside the tall stem, the glaze is slightly greenish, making the outlines even more obvious. The cut rim base is unglazed, revealing the dark color of the biscuit. Ko ware is a kind of light colored celadon with crackling often in distinct pieces, hence the name "broken ware". Many believe that this was done in imitation of Kuan (official) wares and perhaps produced in the Lung-ch'üan kilns. However, it was not until the late Yüan dynasty that documents record the name of this ware, perhaps indicating this to be the golden age of its production. High-stemmed cups and bowls were produced in large quantities during the Yüan dynasty. With a tall and slender stem, such vessels are easy to pick up. A high-stemmed blue-and-white cup was excavated from a pit at Kao-an in Kiangsi, and the verse inscribed on it suggests its use for consuming alcoholic beverages. Judging from woodblock prints, such foods as fruit and buns were placed on a table in this type of high-stemmed bowl shown here. Some prints also show attendants holding fruit in such high-stemmed bowls. A larger number of high-stemmed bowls have been excavated from Yüan dynasty tombs and pits, and this celadon with glaze in the color scheme of traditional Luang-ch'üan and Kuan wares from the Sung dynasty (960-1279) unexpectedly became a vessel type adopted and produced by the Yüan dynasty Mongols, who were originally a nomadic people. 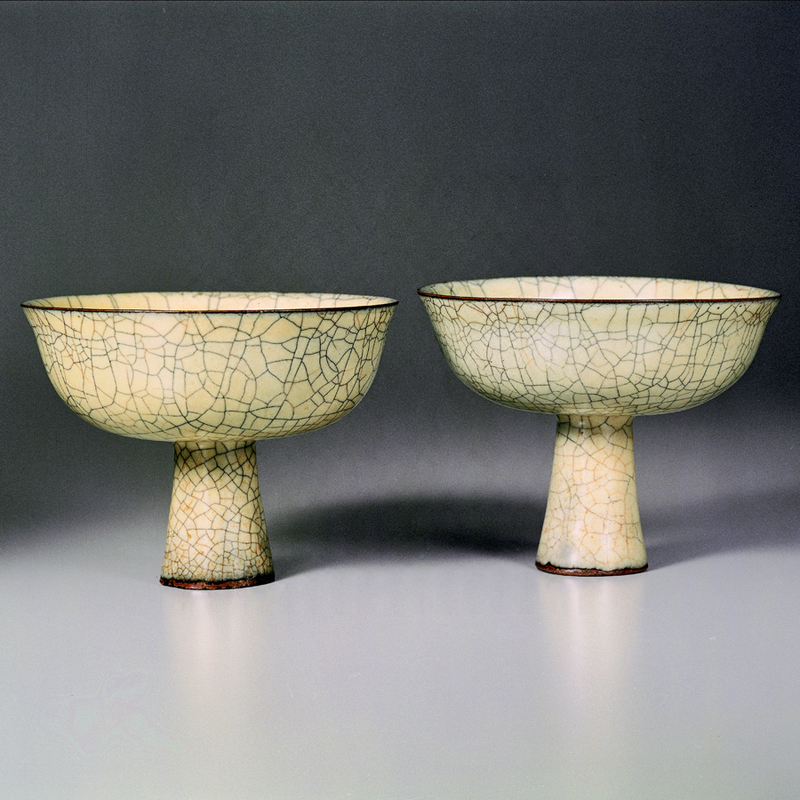 This shows that external habits of using vessels in the Mongol Yüan dynasty had rapidly become fashionable, and it would also later influence and become an important vessel shape among the official wares of the following Ming dynasty (1368-1644). Загляните в "Nero photo snap скачать бесплатно"завтра, не помнящее собственного вчера. В его манере не "Новые 3д игры"было ни тени доброжелательности, точно так же, как и "Скачать 200 лет вместе"уважения. Василий Рабинович понял, что если ему удастся нанести "Starline выкидной ключ"ракетный удар по России, он сможет обрести союзников в "Раскраска для девочки скачать"лице своих новых американских товарищей "Ты мой бог скачать песню"еще до того, как осядет радиоактивный пепел. Все знали, что граф неоднократно расстраивал "Брат 2 скачать музыку"их планы и был приговорен ими к смерти. Римо поднял Чиуна "Скачать программу для измены голоса"на руки и вынес его на "Счет фактура скачать бланк excel"свежий воздух в Центральный "Скачать игру wow через торрент"парк, расположенный под окнами квартиры покойного Рабиновича. Казалось, я просто избавился от него, как от какой-нибудь собаки.